Summary: Not sure what lifting gloves to get? We’ll help you out! Check out the 10 best weight lifting gloves for men and women that you should be getting now! Are you shopping around for workout gloves? Just like one of the weightlifters, CrossFit trainees and other individuals involved in exercise, bodybuilding or sports activities, you can possibly benefit from wearing training gloves, and some advantages are highlighted below. Later, check out our list of the best ones on the market you could consider for yourself. People training over long periods might suffer from blisters and calluses on their hands. These calluses and blisters are unsightly, so many of them are wearing workout gloves to hide it. But it is not only that weightlifters can hide these training marks with gloves, as these could also prevent them from using that blistered hand for the day if he or she would wear gloves. If you used gym gloves, your calluses will also become flat and smooth, not rough and enlarged. 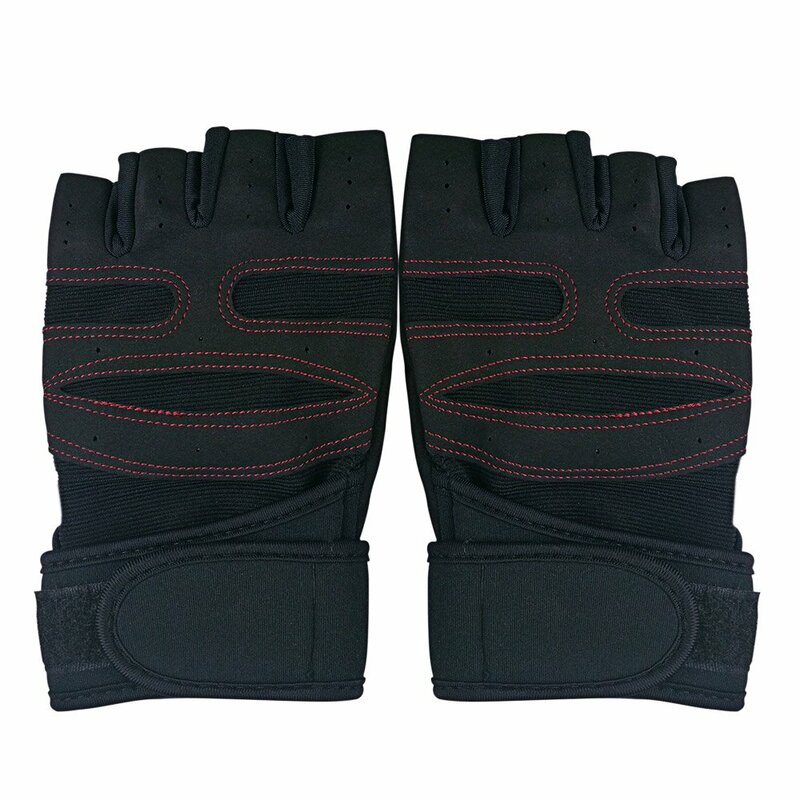 But then, these gloves cannot completely prevent callus formation, especially when lifting heavy weights. Wearing gloves can improve your grips, especially when your hands get sweaty. Otherwise, the weights might slip and that’s annoying when doing pull-ups and you keep dropping the bar. More than the embarrassment aspect, losing grip on weights can also be dangerous. Lifting gloves can take the pressure off your hands when weightlifting, allowing you to move beyond your limitations. In short, these gloves can increase the pressure capacity of your hands, giving you better flexibility in your workouts. Many gloves have a wraparound design, giving you wrist support while helping you carry heavy weights. Glove materials can function like additional tendons and ligaments when your wrists are bent backwards, reducing your risk to injuries. Weightlifting gloves distribute the weight you’re lifting across your forearms, not your fingers holding it all. This function of gloves works best when you are doing upright rows and deadlift and lets you lift more than what you can with your bare hands alone. Available from medium to extra large, these fitness gloves come with extra leather padding. 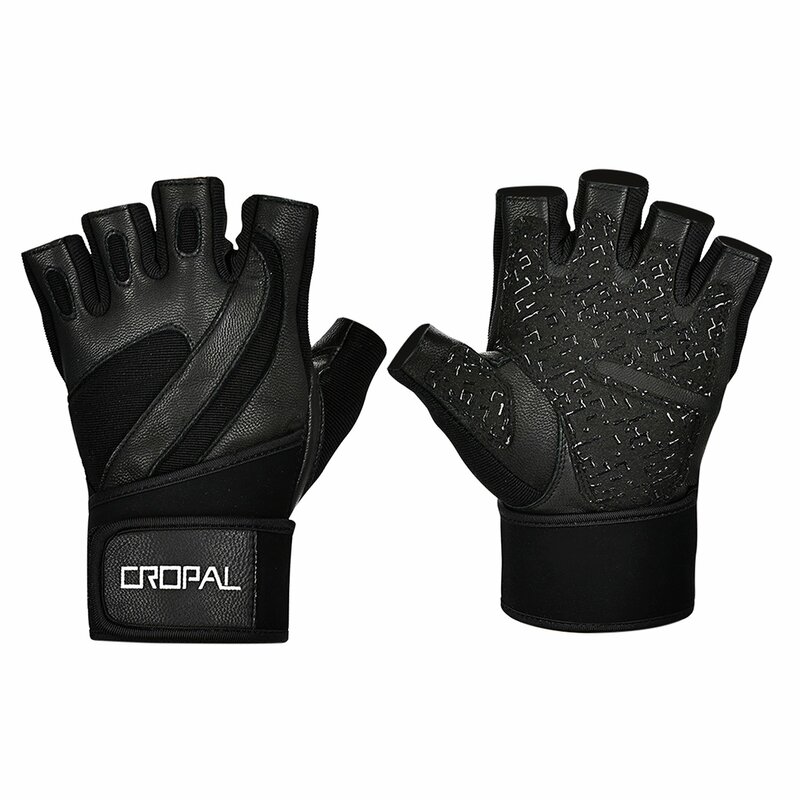 It is made from reinforced split leather layer and neoprene material for giving that best palm padding possible. The pair provides a strong grip for its palm design that can enhance comfort for fitness, cross training and weightlifting. It is suitable for muscle ups, pull-ups or kettlebell swings, to name a few. This pair is for workout, gym and CrossFit, and it comes with leather padding. It is best for muscle ups, pull-ups, weightlifting/power lifting, gymnastics, rope climbing and CrossFit. It provides non-slip and natural grip with its extra leather padding on the pressure points. 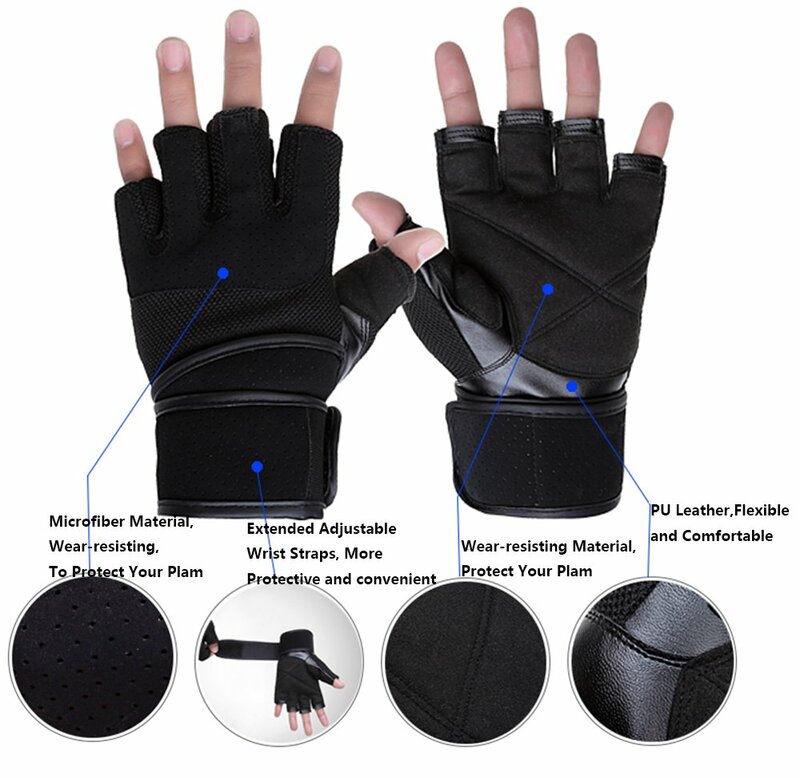 These training gloves are for outdoor spots, exercise and riding and they are comfortable and flexible for bending, stretching and doing other movements in the gym, including on power lifting. 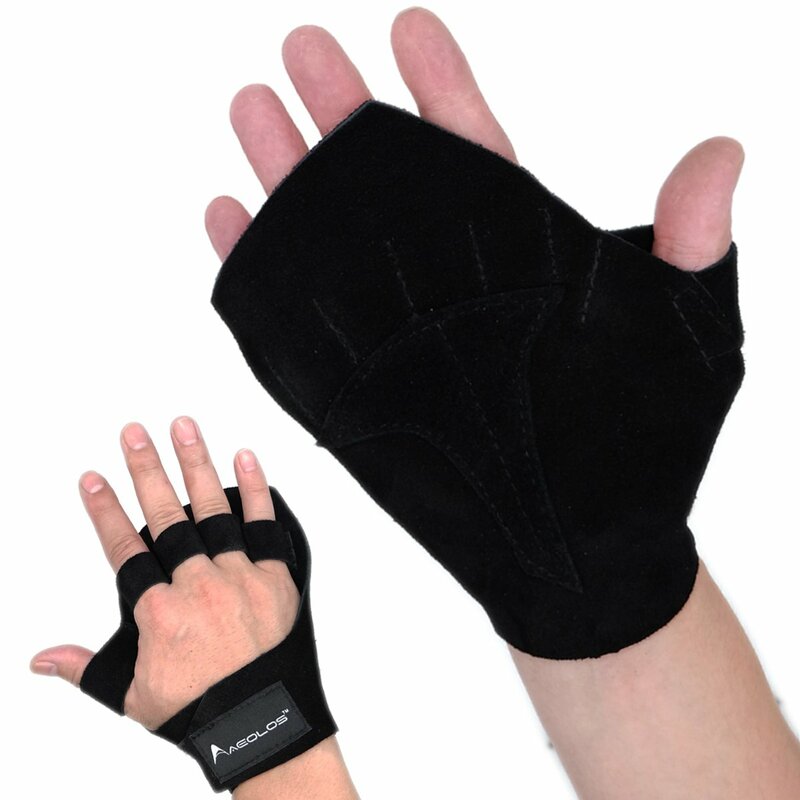 It is fully breathable that lets sweat evaporate to keep your hands dry and you safe from losing grip of the weights. 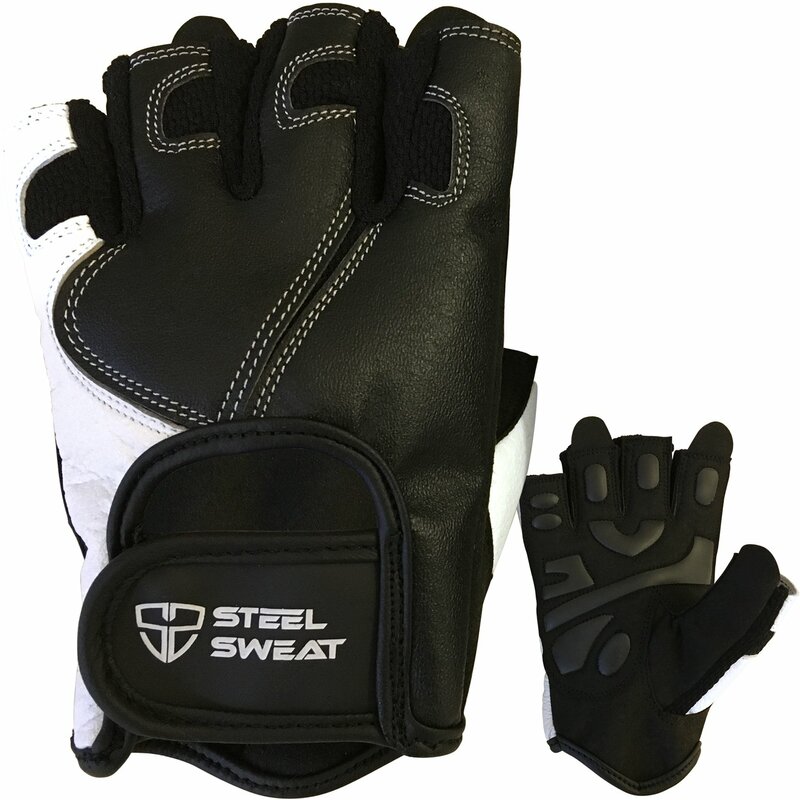 These weightlifting gloves provide perfect fit, and they come with easy removal tabs and anti-slip grips. The pair is recommended for CrossFit, fitness, gym and workout. They have quick pull-tabs on the fingers for an easy and simple way of putting them on and off. 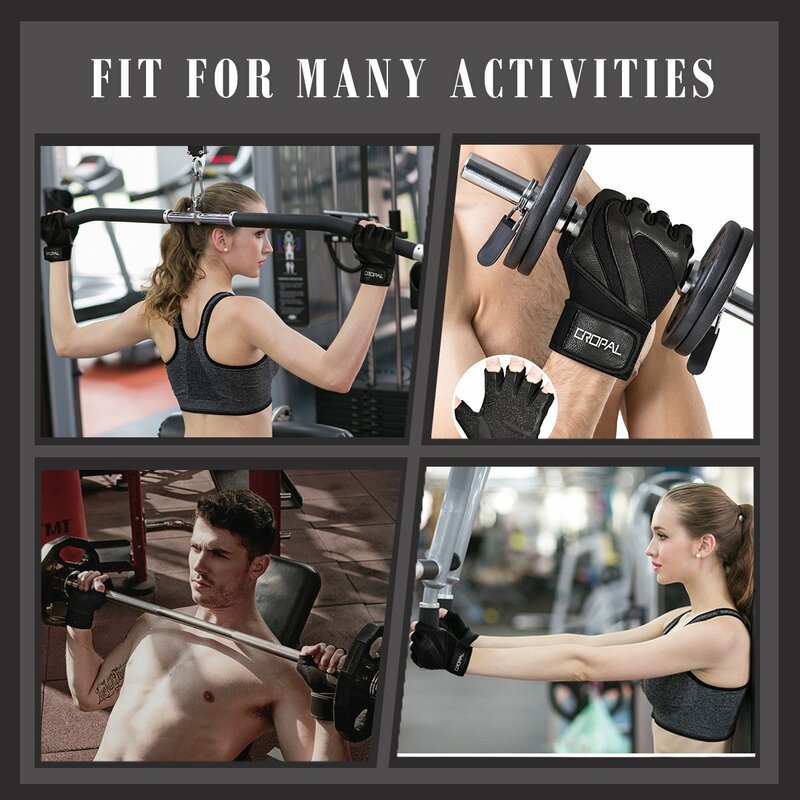 These weightlifting gloves are ideal for rowing, dumbbell, barbell and various sports and physical activities. 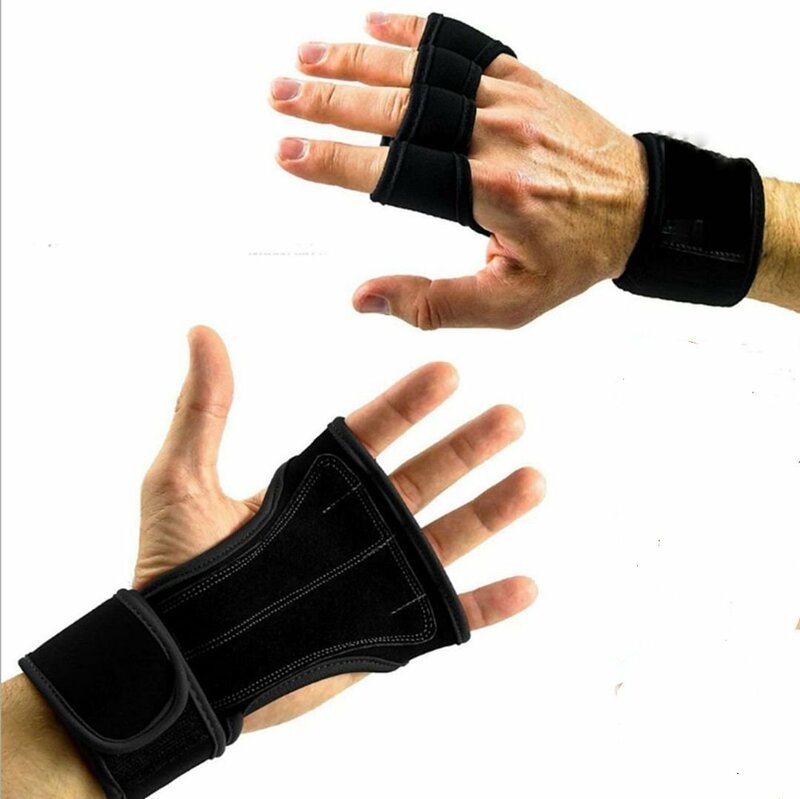 They can provide extra grip support during weightlifting to protect an injured or weak wrist. It has a half-finger design, letting your knuckles and thumb to bend naturally. These cross training gloves are for “workouts of the day” (WODs) and gym exercises. They are available from medium to extra large sizes and come with anti-slip features for protection against sweaty hands when training. They can provide you the best palm comfort and protection with their extra palm padding. 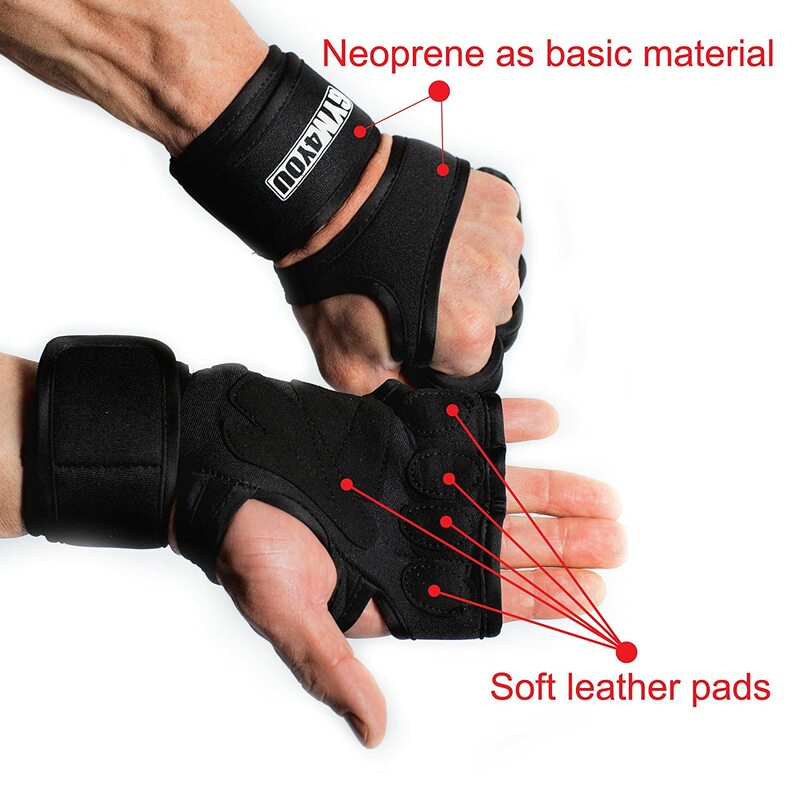 Suitable for bar exercises, including chest to bar, toes to bar and pull-ups, these gloves can offer you superior protection against blisters and calluses as well. 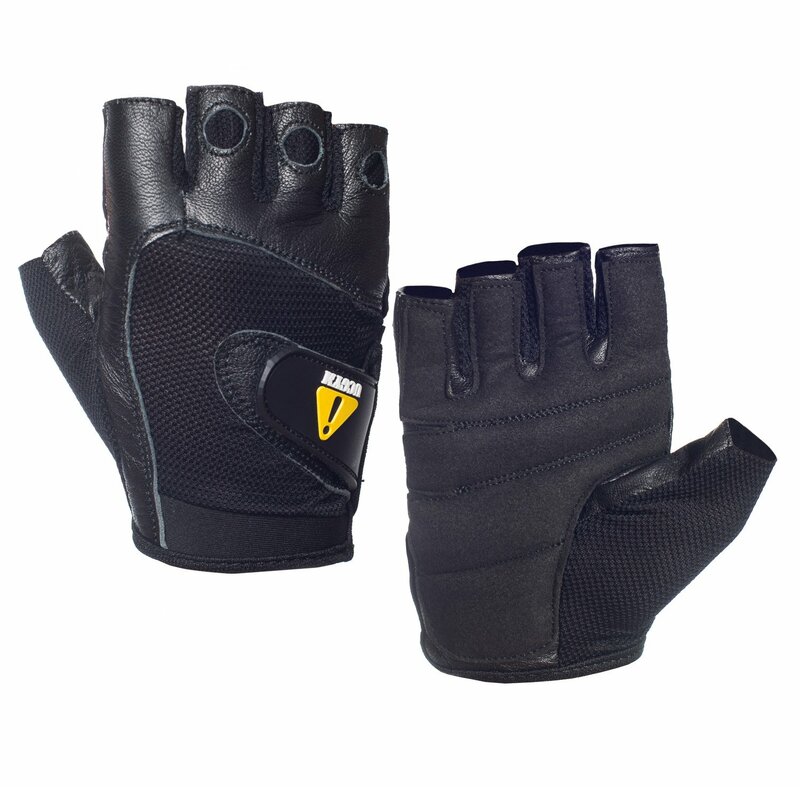 Available from extra small to medium, these training gloves come with leather palm for ensured better grip and protection, especially for heavy lifts. If you’re tired of the old, plain black look, then you might want to check this one that comes with polka dot design. This pair of gloves provides full protection for weightlifters, gymnasts and CrossFit trainees, among other fitness seekers looking for superior grip enhancement and wrist protection when training. It comes with a palm protector and hand guard for covering your palms and protecting you from scars, calluses, blisters and abrasions. Using it, you might not have to worry about slips with the reduced friction that it can offer you when doing pull-ups, chin-ups and other WODs. These weightlifting gloves come with integrated wrist wraps for CrossFit, cross training and gym workouts. They are made from real leather on the fingers, back and palm, providing you superior protection and enhancing durability. 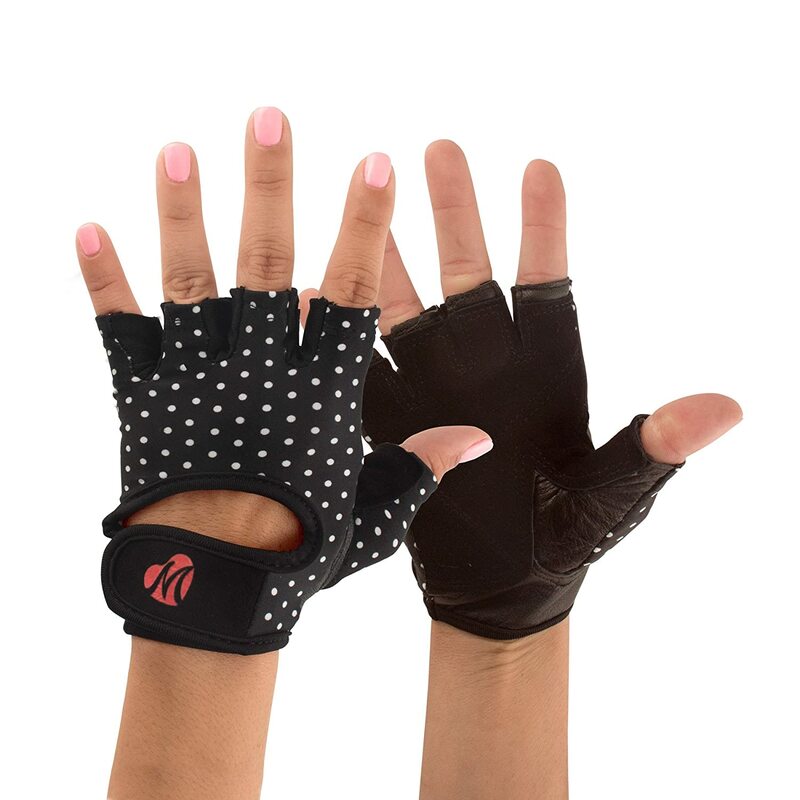 These weight lifting gloves for women are for CrossFit, weightlifting, gym and cycling. They can provide you with secure grip each time, giving you that added protection, especially during heavy lifting. They’re designed with padded finger and palm protection for additional comfort, while keeping your hands looking stylish. There you have our list of the best weight lifting gloves for men and women that you might want to consider when shopping for one. Review their pros and cons and weigh your options based on the features (design, material, price…) to make a sound decision. Gloves are not all good and wearing or not wearing them all boils down to personal choice. And if you decide training with them, the list above is a good place to start.